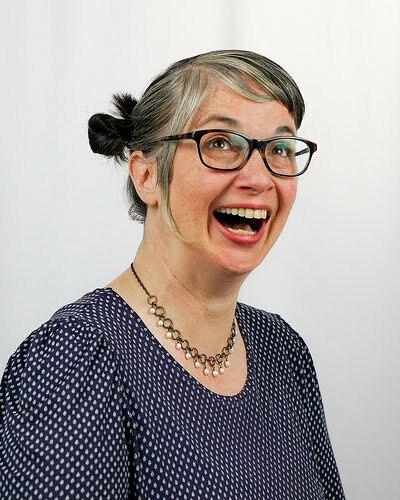 Jill Bernard (she/her) has been performing with ComedySportz-Twin Cities since 1993, and is a founding member of HUGE Theater in Minneapolis. Her one-woman improv piece, Drum Machine, has been featured in over forty improv festivals. She has taught and performed improv in Argentina, Australia, Bulgaria, Canada, Chile, Colombia, England, Finland, France, Germany, Italy, the Netherlands, Norway, Peru, Portugal, Romania, Spain, Sweden Switzerland, the United Arab Emirates and in over forty of the United States; and also on an episode of MTV “Made.” She is one-half of the duo SCRAM with Joe Bill of the Annoyance Theater. An Artistic Associate of the Chicago Improv Festival, she has studied at the Annoyance Theater, Improv Olympic, the Brave New Workshop and other organizations; and is the recipient of the 2005 Chicago Improv Festival Avery Schreiber Ambassador of Improv Award, and the 2007 Miami Improv Festival award for Best Solo Show. She was also the winner, in January 2000, of the Executive Vice President Award for outstanding contribution to Human Resources, the highest award in the American Express Human Resources function. She's also the voice of God, the Holy Ghost, the Virgin Mary and Ruby in videos for Sparkhouse. ⇢ like my Facebook fan page (the best place to find my schedule).